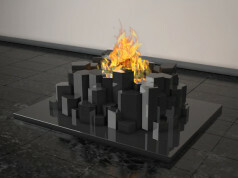 Manufacturer Italy Dream Design offers free standing bio fireplaces created by different designers. Devices delighted us with unique design. All models look like lantern or street lamp. 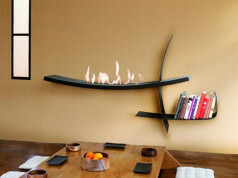 Mobile bioethanol fireplaces by Italy Dream Design are perfect addition to elegance, climatic interior. 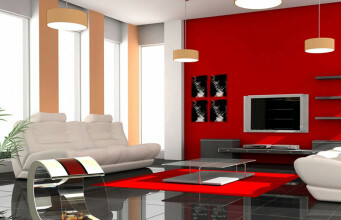 These models are characterized by modern design, original shape and structure. Due to resistance to changeable weather conditions they match perfectly as decoration in restaurants, hotels and patio, in the gardens or terraces. The mobile construction let create particular space in a different way. Modern project by famous Italian architect Francisco Gomeza Paza delighted with its originality. The housing of bio fireplace is made of anodized aluminium, in which triangular elements making structure of flowers were engraved. 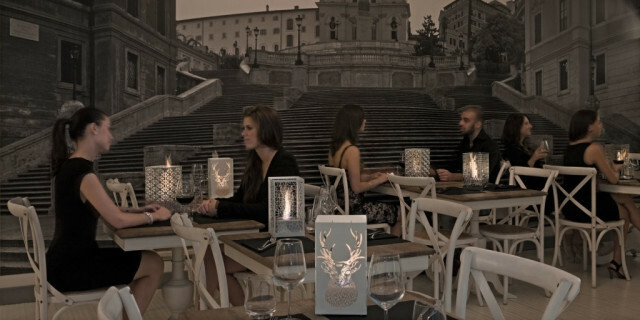 Due to transparency, lantern creates an impression of mysterious and scintillating fire. Through filled and flat elements of housing shines brightness of fire, that fascinates and hypnotizes. 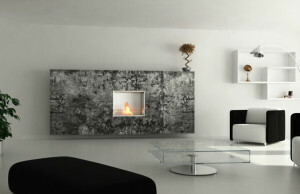 Project of bioethanol fireplace by Lerenzo Palmeri has housing made of white, varnished metal, incised in many places. 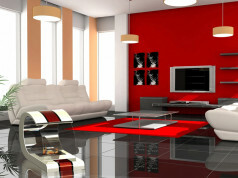 Fragmentation of material into many small, irregular crackes, creates an impression of balanced structure and harmony. In addition, the structure looks like game of flames in burning fire. 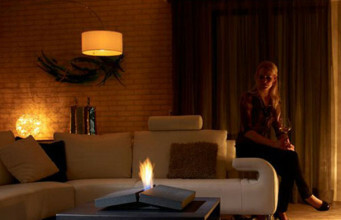 Bio fireplace has integrated element in the form of inside glass, that protects from uncontrolled proliferation of fire. 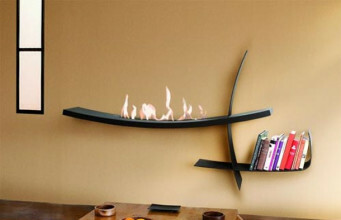 Modern, futuristic bioethanol fireplace by Philippe Nigro is a construction made of box-shaped chrome-plated metal. 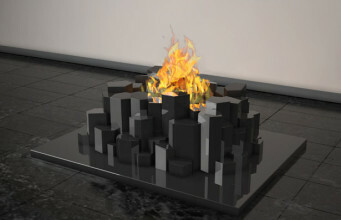 The material has empty and filled spaces, and through them the fire is slipping. Original, modern structure playes with space and our imagination. The construction of three burners by brand Italy Dream Design creates the impression of dancing, vibrating fire. 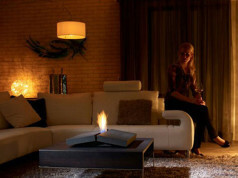 Ecological and unique bioethanol fireplaces looks great placed on a floor or a table. Models could be fixed on the wall with a special pole.